Applied Innovations is a web hosting company known for its expertise in managed Windows hosting solutions. In this case study, find out how they solved their growing problem with blocked email delivery due to IP blacklisting. 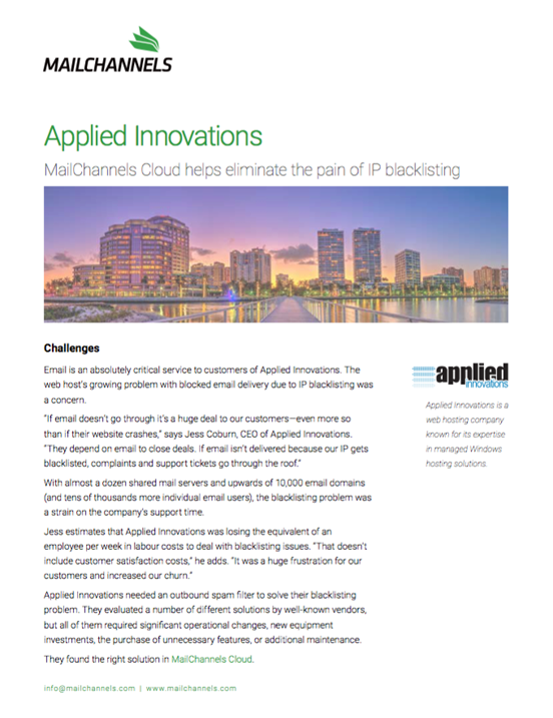 Learn how Applied Innovations reduced support tickets related to blacklisting from 20 percent down to 2 percent since they implemented MailChannels Cloud.